This is a very sturdy and attractive tray. The "Tangier. 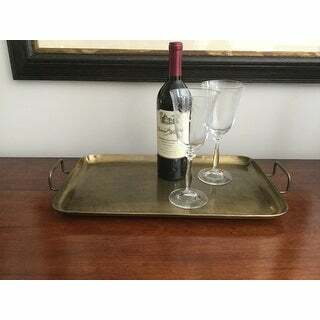 Champagne finished tray will add warmth and style to any gathering. 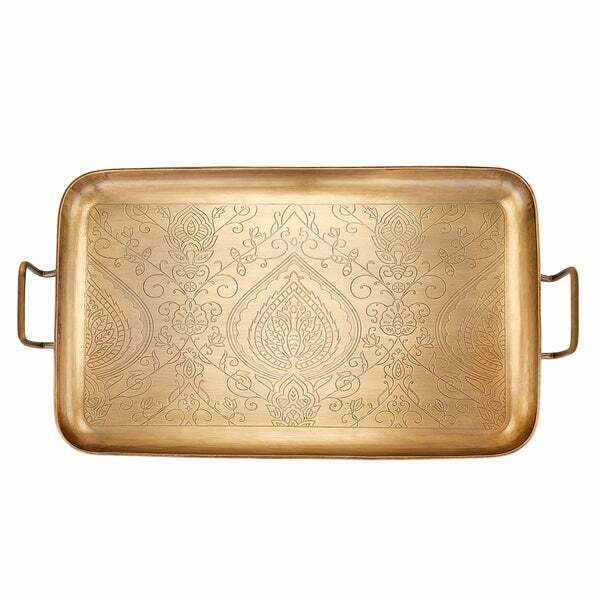 Beautifully etched with a design inspired by Moroccan art, this tray makes a decorative statement in your home. Ideal for serving a round of cocktails or offering hors d'oeuvres at a party, this versatile tray is also perfect for home decor. 16. Diameter.